Editor’s Note: This is an update of Kim Mear’s overview of the MLIS program at Valdosta State University, originally published in June 2011. I graduated from this program in May 2015 and can provide updated information and an overview of my full experience as a student. 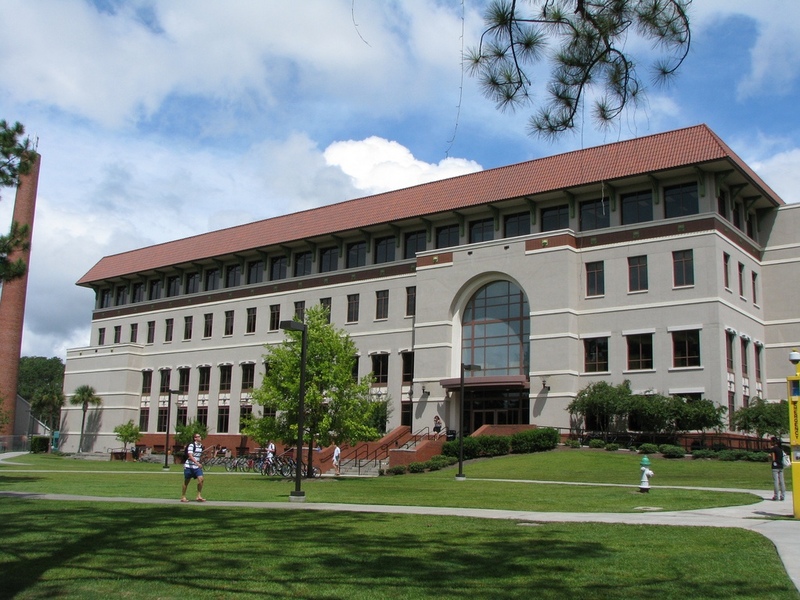 The MLIS program is housed in Valdosta State University’s Odum Library. The Valdosta State University Master of Library and Information Science program is primarily an online program with required face-to-face orientations, although some courses offer optional face-to-face meetings or field trips. It was recently merged into the College of Education at Valdosta State University and is now under the direction of newly appointed Department Head, Linda R. Most. The program had an early focus on generating library and information professionals for the state of Georgia, but over the last few years the program has recruited students from all over the United States and even some international students. It is gaining popularity and is an attractive option for students who need a low cost online program to obtain an ALA-accredited MLIS degree. Fall and spring admissions allow students to enroll in the program twice a year and orientation takes place on the VSU campus over a designated weekend. The deadline for fall semester is March 15 and the deadline for spring semester is October 15. The GRE is not required for admission. Chosen from a desired track or your interests. You do not have to select a track or specialization. This is one of the benefits of the program – outside of the core classes, you have the freedom to select your coursework. I knew going into the program that I wanted to do art librarianship or archival work, so I took all the related electives and focused my projects and papers on these topics. One complaint that I do have is that we were told at the beginning of the program that they would add an archives track – 2.5 years later, that still hasn’t happened. However, there are three archives electives and you can take classes at Clayton State University, which has an online Master of Archival Studies (with a focus on digital archives and technology), and have these courses count towards your degree at VSU. For example, if you look at Indiana University’s MLS requirements for a specialization in art librarianship, the following courses are required: Humanities Information, Internship in Library and Information Science, Art Librarianship, and Research Sources in Art History. At VSU, I took Humanities Sources and Services (where I did a selector’s guide on modern art history) and I created an independent study in Art and Visual Resources Librarianship. I also took electives in Archival Theory and Issues, Preservation, Digital Libraries (where I created a digital exhibition in Omeka and created posters on Artstor Digital Library), Collection Development (where I did a project on East Asian painting), and Descriptive Cataloging. I did internships in collection development and archives, but also worked full-time in visual resources librarianship during my last year of the program. Even though at first glance it might appear that it would be impossible to focus on art librarianship at VSU, I made it work. For more information on my coursework, view my online portfolio. Internship availability varies semester to semester and opportunities are advertised on the program Facebook page and on the course management system. There is an internship course available to interested students, which allows you to get course credit for internships. Faculty can help you with internship placement or you can propose an internship opportunity. There is an official ALA student chapter called the Student Organization of Library and Information Science (SOLIS). The group meets virtually a few times a semester. I was a member of the advisory board and assisted with updating the chapter by-laws last year. SOLIS has a newsletter to share news and information with program stakeholders. The success of SOLIS depends on the students – if you are proactive and want to be involved, there is a place for you. VSU offers many scholarships and awards for students. Three of the most popular awards are the George Gaumond Award, the H. W. Wilson Scholarship, and the VSU MLIS Merit Scholarship. I personally received the George Gaumond Award and I was nominated to represented VSU at the ALA Annual Conference in 2014 as part of the Student-to-Staff program. So, even in an online program, it’s possible to form strong relationships with the faculty and receive recognition as a top student. In addition, students who work at one of the 37 University of Georgia System’s schools can participate in the Tuition Assistance Program (TAP). This program allows student to attend classes for free as long as classes do not interfere with regularly scheduled work hours. Participants are required to fill out an application each semester with the immediate supervisor’s signature. This was the deciding factor in my decision to enroll in this program. Since I work at a USG institution, I was able to receive tuition coverage for the entire program. However, there is one caveat to TAP – registration for classes is reserved until a few days before classes begin and sometimes it can be difficult to get a required class since they fill up quickly. Luckily, I didn’t have any issues, but it was stressful waiting for the TAP registration to begin! The Valdosta State University Graduate School offers travel assistance to graduate students who will be traveling to present at conferences. I received a generous travel award to present a paper at a digital humanities conference last summer. Cost is a concern. This is one of the most affordable LIS programs available. You cannot leave a current job or move and do not have a MLIS program nearby. You seek primarily online instruction because you already work in a library. You are especially interested in school media, reference and instruction, or management. I think the program is particularly strong in these areas. You want a lot of flexibility in the courses you take and the freedom to create your own track. You want to go at your own pace. VSU does not have a cohort program, so you can take as many or as few classes as you like. You work at a USG institution and want to take advantage of the free tuition. “The courses often feel like a correspondence course, with little or no interaction with professors. With all the course materials laid out in writing from the very beginning, many professors do nothing more than answer questions about assignments, and hand back grades. “Discussion” boards – which one would think take the place of IRL classroom discussions – are often used only for posting required weekly essays, and any resulting discussion (which typically occurs only when required by the professor) rarely offers pushback or illustrates evolution of thought or learning. These “discussion” boards are in no way comparable to classroom time. The program offers only the most basic courses, and nothing I would consider modern or cutting-edge in the field of librarianship. Selected readings are often old, on topics which have more relevant quality recent writing. As someone who works in a library, so far I haven’t learned anything that will help me with the challenges of being a librarian in the 21st century, although I have learned a lot about where librarians have been. I think a lot of the criticisms expressed here are common issues for online MLIS programs (for more information on this subject, check out my article Are Online LIS Students Doomed?). That being said, one of the major benefits of doing your program online is that the flexibility allows you to pursue full-time employment in libraries or multiple volunteer or internship opportunities. The reality is that you aren’t going to learn everything you need to know from your coursework alone; experience is crucial and can make or break your success as a librarian. I’m going to be honest with you: do I think I received the very best LIS education at Valdosta State University? No. If I could have gone to a top-ranked full-time program that offered a track in art librarianship, then I would have. But this wasn’t an option for me, because I had to work full-time and could not relocate. However, overall I’m satisfied, because I needed the MLIS degree and I think, to the best of my ability, I took full advantage of the resources provided by the program. Since I graduated in May, I’ve had a few on-campus interviews for academic librarian positions and no one blinked an eye when I told them where I got my MLIS degree. As long as you have an ALA-accredited MLIS degree, experience working in your chosen field, a list of accomplishments on your resume or CV, and plenty of time and patience for the job search, you should be fine regardless of where you went to school. I would say that I had a positive experience overall and enjoyed my time in the program. I don’t regret my choice to attend VSU. If you have any questions about the VSU MLIS program, please feel free to ask. Hi everyone, former hacker Amanda here. When I saw this post, I couldn’t help responding, as I, too, am a recent grad of the Valdosta State program. I guess my opinion is an unpopular one because…I happen to have had a wonderful experience in the program! Like Courtney, I chose VSU because I was working full-time and I needed an affordable way to earn the degree. Also, VSU is the only MLIS program in Georgia, and paying out-of-state fees to go to school online just seemed like all kinds of wrong to me. So off to VSU (virtually) I went. I’ve never been particularly fond of the classroom environment, so going to school online was a breath of fresh air—I could go at my own pace and tailor my learning, and class participation was via written discussion posts instead of the on-the-spot classroom discussions that were often difficult for me. (I’m an introvert—I like to deliberate.) Also, going to school online motivated me to be more involved in the profession. I attended a face-to-face college for undergrad, and I’m pretty sure I thought that just going to class was enough. Going to school online was engaging and I learned a lot, but like Courtney says, what you learn in school is never the complete picture. So, to get a more complete picture, I got a library job and applied for conference travel scholarships and read blogs and journals and started tweeting and made an effort to be an active participant in my education. I probably wouldn’t have tried as hard if I’d gone to a face-to-face school. Hey Courtney! Sorry it took me so long to respond. I thought your post was very balanced and honest, and I appreciated that. It’s just that some of the criticisms from students really caught me by surprise. I think it all boils down to “fit,” or the alignment between what the school offers and what individual students value in a school. I can’t wait to keep reading the series to see if students in other online programs feel the same way. I am 2014 graduate of the program and was very pleased with the program overall. I certainly felt some professors were better suited for online education than others; however, that is really no different than any type of program one might enter. I needed to complete a degree requirement required for my job. While actively working in library administration, I was able to gain real life application to things I learned in class. I have utilized ideas and concepts I learned in several classes over and over again. I took classes from two library science programs and can easily state that Valdosta State’s program was far better than the University of Missouri’s program. My classes on collection development and library instruction were extremely current both topically and theoretically. For me, I think about things learned in my program several times a month at least. I think that speaks highly for those courses that have made a lasting connection. Is VSU the top program out there? Probably not. It is still a fairly young program and will hopefully improve in both quality and number of graduates. Was it a great value? Certainly. It assisted me with my required credentials and helped prepare me better for my field. I appreciate everyone on this page who has commented. I started the MLIS program at USF in 2009 and unfortunately had to drop out the same semester. I always wanted to go back, and I will be starting at VSU this January! I am interested in managing a library in a community college but have zero library experience. However, I have lots of experience with adult learners in an urban community college setting, and I think I’d love this career track and do well. I have a couple of questions. First, should a person working 40 hrs take a full schedule? I have a stress free job and am perfectly free outside of my work hours. I guess I’m asking what the workload is like. Second, which classes would you recommend for a person who wants a career within academia (and who wants to run things lol)? I’ve read online reviews by employers who said that VSU grads were not fully prepared for budgeting, acquisitions, management, etc. Thanks! Fortune best hacker are a professional hacking team. We have testimonies from our numerous clients around world. We are the best hackers alive.